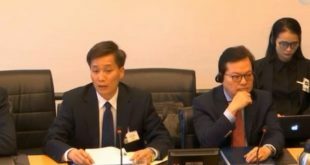 PARIS, 28th February 2018 (VCHR) – In a new report entitled “Shrinking Spaces: Assessment of the Human Rights Situation in Vietnam during the 2nd Cycle of the Universal Periodic Review”, the Vietnam Committee on Human Rights (VCHR) documents one of the worst crack-downs in recent years against human rights defenders, bloggers and religious followers in Vietnam. The 36-page report describes an escalation of arrests, imprisonment and arbitrary convictions, increased police brutality against peaceful demonstrators and activists, ill-treatment in police custody, increased use of the death penalty, and reinforcement of the “rule by law” – the adoption of restrictive legislation to constrain civil society space and criminalize the exercise of fundamental human rights. VCHR’s report, which is published in English, French and Vietnamese, comes as arrests and harsh convictions of dissidents in Vietnam are multiplying with frightening speed. Since 23 January 2018 alone, at least 16 civil society activists have been condemned to 95 ½ years in prison at a series of politically-motivated trials. On 1st and 6th February 2018, medical doctor Hồ Văn Hải (54) received a 4-year sentence for “propaganda against the state” and worker-rights activist Hoàng Đức Bình (34) was condemned to 14 years prison, both for denouncing the Formosa toxic waste disaster. 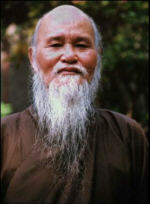 Ten Hoa Hao Buddhists received jail terms ranging from two to twelve years (for Vương Văn Thả) in January-February. Other prisoners were subjected to inhumane detention conditions – blogger “Mẹ Nấm”, who is in poor health, was transferred to a prison over 1,000 kms from her home in February without any warning to her family. 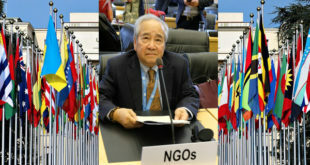 “The already bad human rights situation in Vietnam has vastly deteriorated since its last Universal Periodic Review (UPR)” said VCHR President Võ Văn Ái. “The government claims to comply fully with its international human rights obligations, but in fact it is brutally and systematically suppressing human rights and reducing civil society space in every domain”. 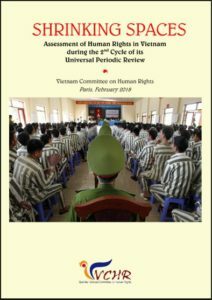 VCHR’s report evaluates human rights compliance in Vietnam in view of its upcoming UPR in January 2019. 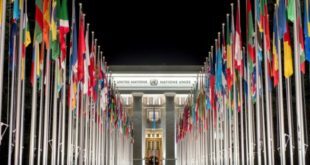 Following the last UPR in 2014, the international community made 227 recommendations to improve the country’s grave human rights record, and Vietnam told the UN that 129 of these recommendations “have been successfully realized”. On the contrary, as VCHR’s analysis shows, Vietnam has done the exact opposite, with human rights abuses escalating and civil society facing more threats than ever before. “Shrinking Spaces” demonstrates that repression is not the result of abuses and atrocities committed at a local level, but of deliberate policy decisions made at the highest levels of the Communist Party (VCP) and state. Under “Regulation 102”, issued in November 2017, Communist Party members who advocate the separation of powers, multi-party democracy or independent civil society will be immediately expelled. Amongst the 66 new laws and 3 ordinances that Vietnam claims to have adopted between 2014-2016, many impose serious constraints on the exercise of human rights, including key laws such as the amended Criminal Code, the Law on Belief and Religion, the amended Press Law, the Law on Access to Information and a string of administrative regulations on demonstrations, religion and other issues. 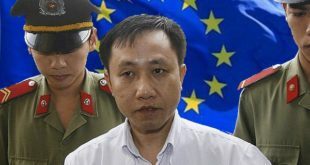 Concerning the amended Criminal Code, contrary to its pledges to the international community made at its UPR, Vietnam did not abrogate the broadly-defined “national security” clauses, such as Articles 79, 88 or 258, which are routinely invoked to detain political and religious dissidents. On the contrary, one new “national security” crime was added (Article 133 on “terrorism against the State”) which is punishable by death. The only real change in these crimes is their numbers – VCHR’s report gives a table in annex with the corresponding old and new numbers of “national security” provisions in the Criminal Code, which came into force on 1st January 2018. In fact, this vague concept of “threatening national security” remains the back-bone of Vietnam’s policies and practices regarding the organized suppression of political and religious dissent. Highlighting cases such as Buddhist dissident Thích Quảng Độ, blogger “Mẹ Nấm” Nguyễn Ngọc Như Quỳnh, Trần Thị Nga, Nguyễn Văn Đài, Nguyễn Hữu Vinh, Hồ Văn Hải etc, the report expresses concern about the increasing use of violence, often by government-hired thugs, to create a climate of fear and thereby dissuade activists from engaging in public affairs or defending their rights and those of others. The report devotes a section to the government’s concerted assault on Internet freedom, spearheaded by the army and Police. Powerful structures such as the Ministry of Public Security’s “Department of Cyber-security” (code name A68) or the Ministry of Defence’s “Force 47”, with over 10,000 cyber warriors are deployed to track “wrong views” on the Internet and social networks, and vilify or arrest their authors. Massive hacking and DDos attacks against civil society blogs and websites were reported recently, successfully blocking thousands of “reactionary or wrongful posts”, according to the MPS. Inspired by the Chinese example, Vietnam has hired legions of “opinion shapers” supported by political bots to attack activists and advance anti-democratic agendas. Freedom House, which classes Vietnam amongst 30 countries using these commentators and bots, said “the effects of these rapidly-spreading techniques on democracy and civic activism are potentially devastating”. New legislation being drafted in Vietnam would oblige international operators such as Facebook, Google, Skype or Viber to stock data on Vietnam-based users on servers inside Vietnam. Netizens who post “false and libellous information” on social media will be punished by fines of up to 50 million VNĐ (the average annual salary in Vietnam) under new administrative decrees, and the government has pressed Google (Youtube) and Facebook to block “toxic content”. Some 4,500 Youtube videos deemed to “slander and defame Vietnamese leaders” have recently been withdrawn. The Universal Periodic Review (UPR) is a 4-year peer review of the human rights situation in all UN member states before the UN Human Rights Council on the basis of reports prepared by the country under review, UN special procedures and civil society. Vietnam’s first UPR was in May 2009, the second in February 2014 and the third is scheduled for January 2019.